I'm not a normal girl. I've known this since I was five years old and got my first gift. I have no idea where it came from, who I am, but it's something I have to learn myself, if I can. I'm starting school for the first time also and it's messing with my thoughts, my gifts, making me nervous. But then I meet Kota, Victor, Silas, Nathan, Gabriel, Luke, North, Dr Green and Mr Blackbourne. Something about them causes these crazy feelings inside me; human feelings and feelings I'm sure are to do with my gifts. And my father is taking notice of me, and I have no idea why. He's never bothered before, so why now? Then someone comes and tells me that the supernatural world is in danger and he knows who I am, because he's one to. 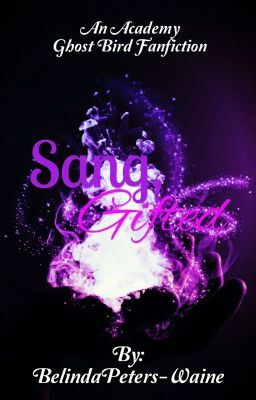 My name is Sang Sorenson and I'm gifted, a witch so I've been told and this...it's well, my story! This is a Fanfiction story of The Academy Ghost Bird series! I do not own The Academy or any of its Characters. C L Stone, the amazing women she is, however does own them. This story is purely for fun and entertainment purposes!